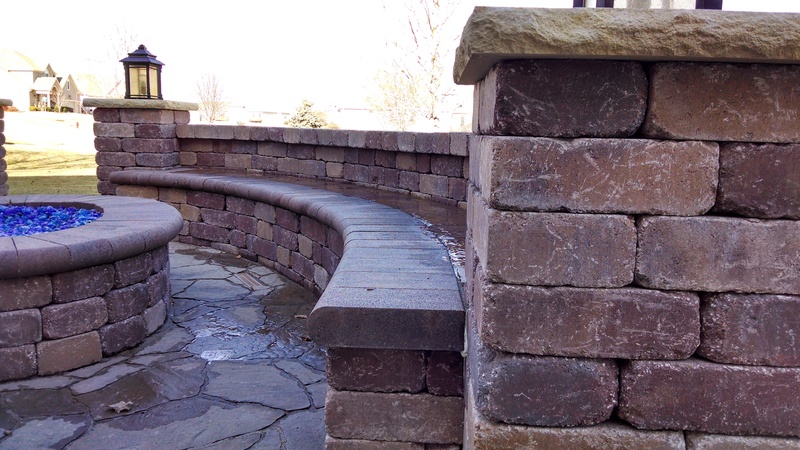 One thing that sets Sharp Landscaping apart from other companies is our focus on building a relationship with customers on a personal level. For more portfolio photos, visit our Houzz or Facebook photo albums. 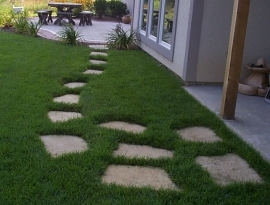 Computerized landscape design with your needs in mind. 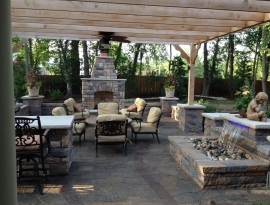 After our initial consultation with you, personalized landscaping plans are then drawn up on the computer and presented to you with a cost estimate. 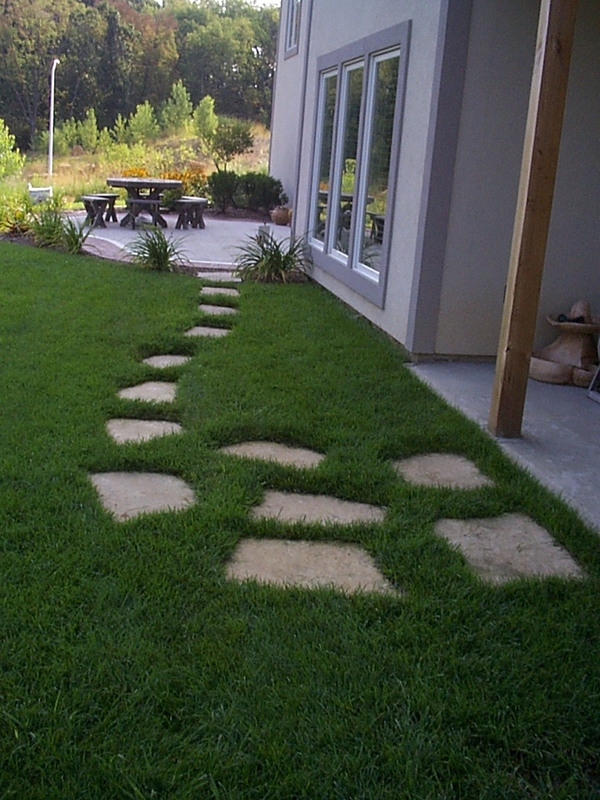 3-D computer imaging of your house with the plants in place can also be done for an additional fee. 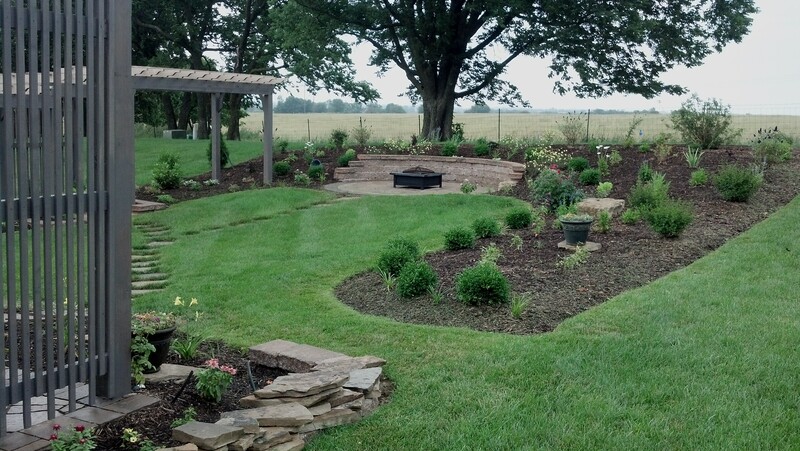 Includes: removal of any existing plants, sod, etc., bed preparation and planting of all materials necessary for job completion. Care will be taken to ensure professional results and customer satisfaction. 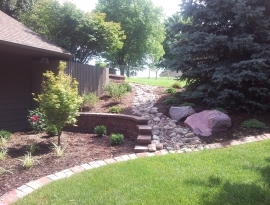 We service new or existing landscapes. Let us take care of your investment with dependable service and quality you can count on. 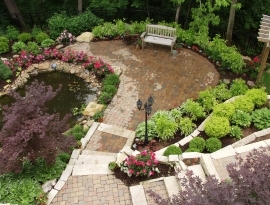 Maintenance may include: detailed landscape bed work, seasonal services, shrub and tree care and more. 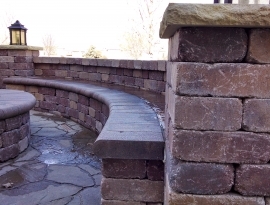 Combined with the right landscaping, walls, walkways, and patios will enhance your home with timeless beauty. 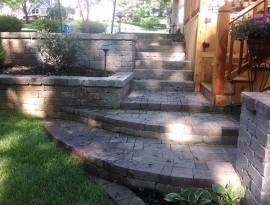 We specialize in: flagstone patios, walls, walkways and steps, modular stone walls and minor drainage systems. 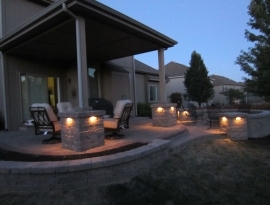 Installing outdoor lighting throughout your landscape will increase security and add beauty to your investment. 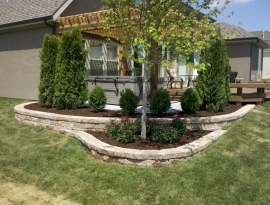 Let us give you a free demo of how this service can enhance your landscape. 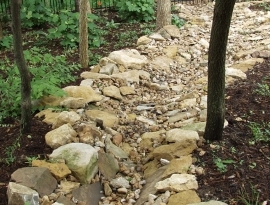 Rain can be a blessing but can also cause havoc to a low lying area or around your foundation. Let us install a drainage system that reroutes the water away from these areas. 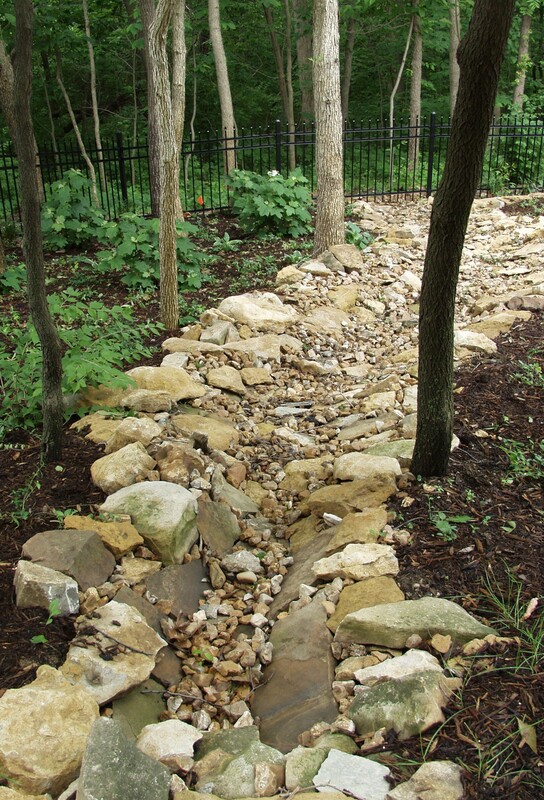 We can install an underground pipe and move water into grass areas or we can create a dry creek or river bed which will create structure and beauty to the landscape. 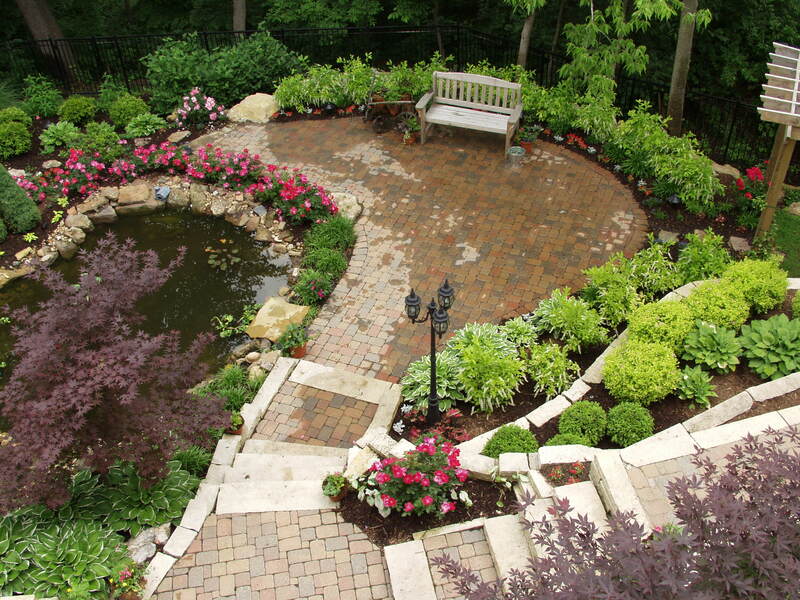 We know your landscaping investment is important to you. That's why every project is important to us. 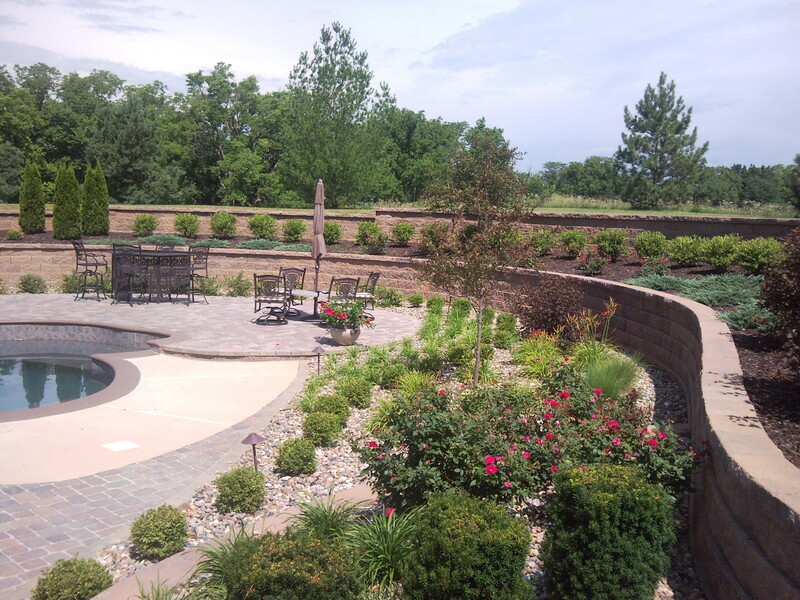 Rather than rely on cookie-cutter solutions, Sharp Landscaping meets with each client on-site to see the project first-hand, listen to your needs and offer creative solutions that will make your property stand out. Water is soothing and relaxing, it seems to ease tension and stress so what better way to enhance your outdoor living areas with a water feature. 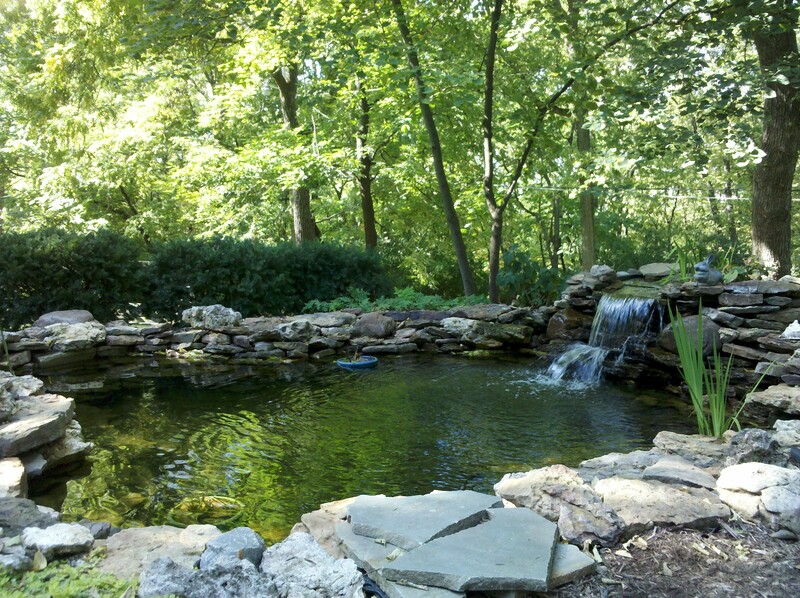 We can install from a small bubbling pondless water feature to a larger scale pond with a waterfall. We can start from scratch or add to what you have. 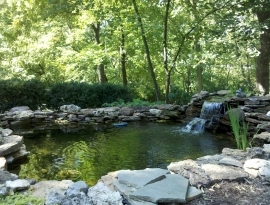 We offer maintenance to all sorts of water features as well. 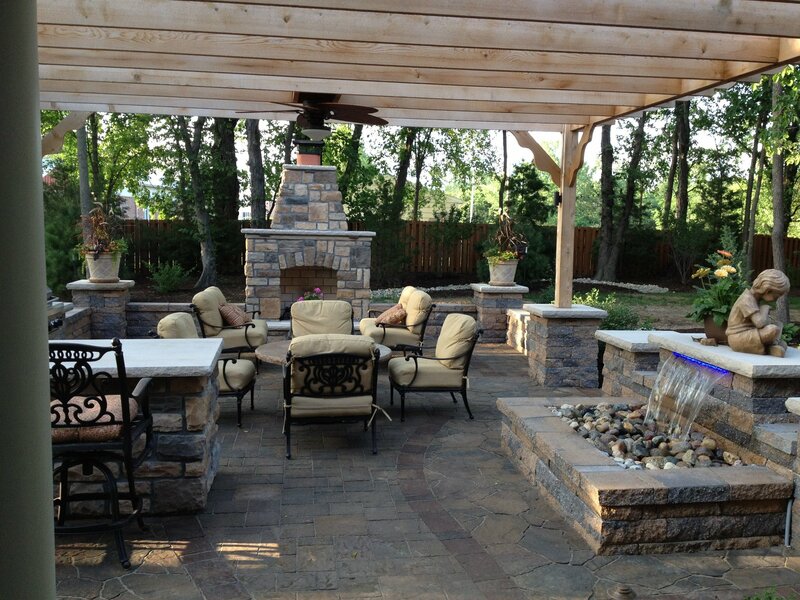 Mark began his career in landscape design and installation as a landscape foreman and manager. He noticed that many companies did great work but failed to provide excellence in service and customer satisfaction. 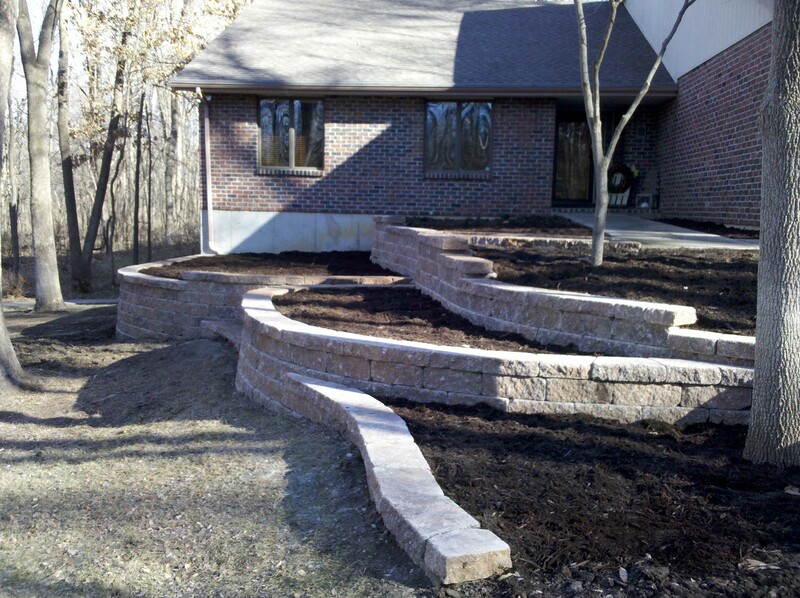 Mark started Sharp Landscaping with the goal is to provide excellent work and service and still have time for the foundation of his business - his relationship with Jesus (After all, it's God's garden, we're just tending it). Mark Also places a priority on spending time with his family which brings balance to his life and makes his work the best it can be. 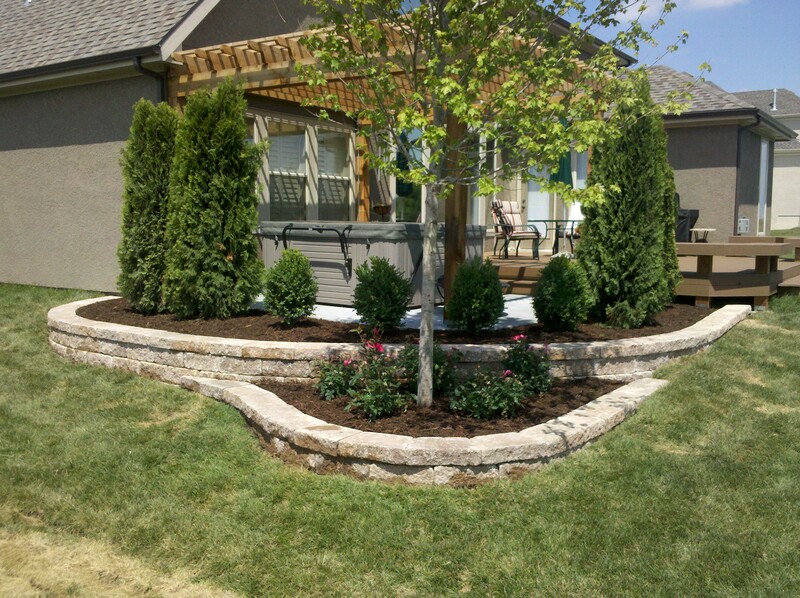 Mark has an extensive knowledge of plants, trees, shrubs and their growing conditions from years of experience with Suburban Lawn & Garden in Kansas City, KS and Colonial Nursery in Blue Springs, MO. 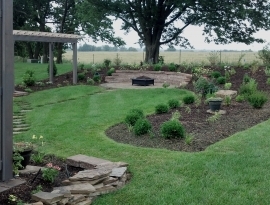 Sharp Landscaping only hires qualified workers who are committed to getting the job done right and value customer satisfaction. Roger Ligon is our Trimming and Maintenance Manager. He is very customer oriented and leads his crew to ensure our customers' homes look their best at all times. Roger has worked for Sharp Landscaping tirelessly almost since the beginning of our company. 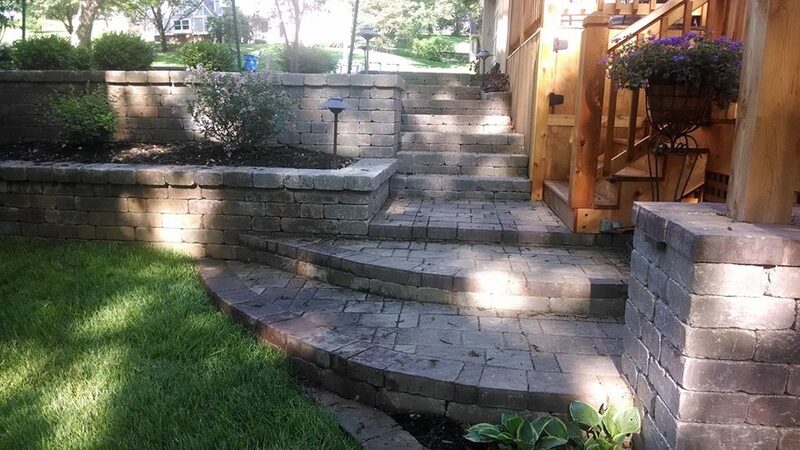 He says that “landscaping is a thing of beauty,” Roger truly finds satisfaction when he can step back and review his handiwork beautifying a clients' home or business by working with plants and trees. 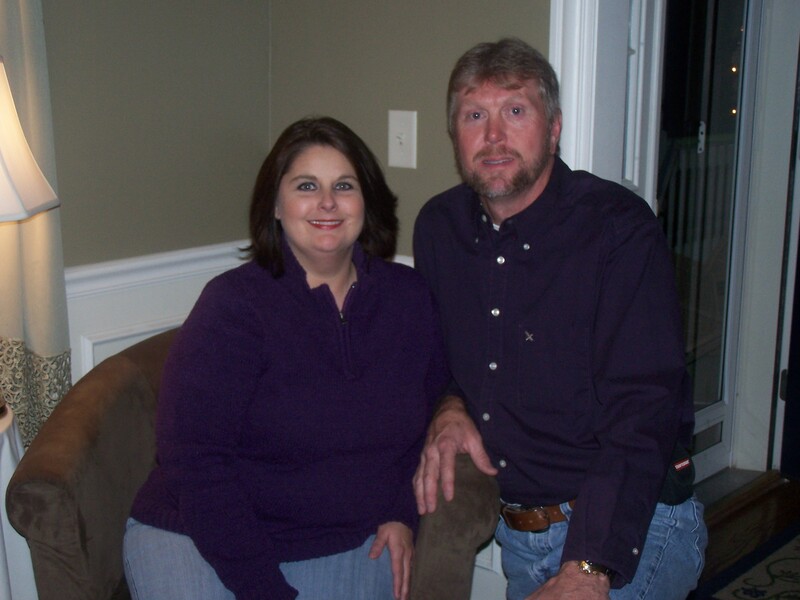 Roger also enjoys traveling with his wife, Lori and listening to classic rock and roll. 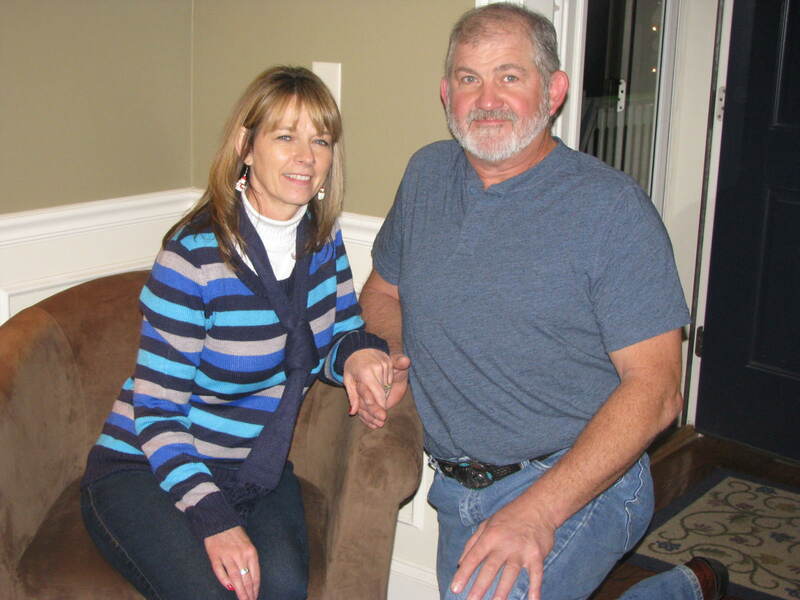 Bob VanCamp joined the Sharp Landscaping team recently as Operations Manager. He brings over 30 years of management experience in various industries and puts those skills to use as he oversees daily operations and logistics of projects, personnel and materials. Bob is a true Mountain man and loves the outdoors as well as working with people. His willingness to jump in and help out with any project makes Bob a blessing to be around. 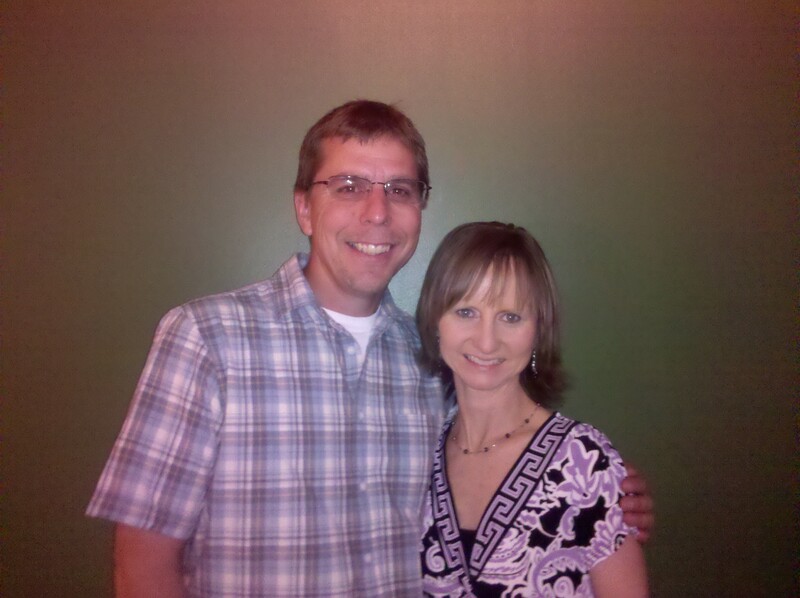 He and his wife Brenda reside in Liberty and are very involved at Desperation Church where Bob is an elder, works with the worship team and teaches a class for special needs kids.